Ben Tre is not only famous for coconut, but also for a very diverse fruits besides coconut. 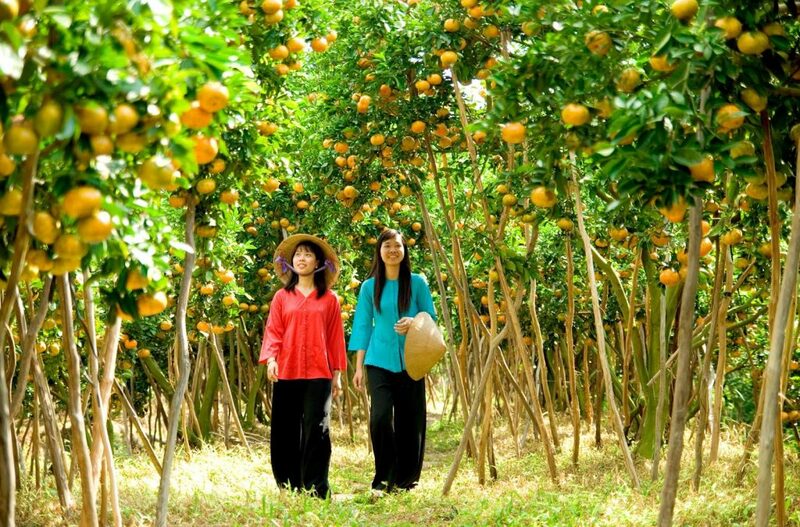 Visiting Cho Lach district in Ben Tre, you will have chance to see amazing orchards of fruits, flowers and other trees. It is dubbed “the kingdom of fruits”. From the centre of Ben Tre city, you travel through Ham Luong Bridge and then Mo Cay town (in Mo Cay Nam district), keep the track along highway 57 to get to Cho Lach district. Cho Lach is located in the narrowest land on top of Cu Lao Minh Isle. The district is raised the level by 2 rivers including Co Chien river and Ham Luong river with very dense canal nets. Fertile land and ideal climate help the locals grow various kinds of fruits, trees and flowers. One of the must-see destinations in Cho Lach is Cai Mon orchard. You will be attracted by different species of fresh fruits such as rambutan, mangosteen, orange, grapefruit, mandarine, longan, mango, banana, jack-fruit, etc. Almost all species of tropical fruits are grown in here. The fruits are also fresh, high-quality and productive. 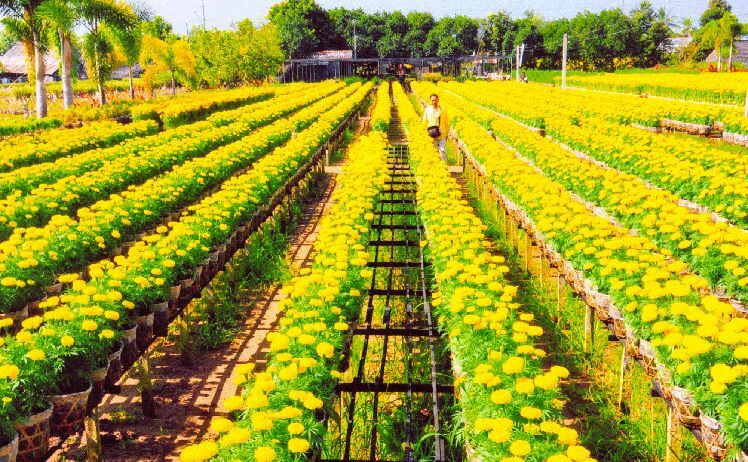 You can visit the greatly large garden and pick whatever you like and enjoy them right away. Flowers are also a specialty of Cho Lach. Dozens species of beautiful flower and ornamental tree including marigold, daisy, carnation, dahlia, different kinds of roses as well as plenty of rare ornamental trees pruned into unique and eye-catching forms such as lion, dragon, deer, etc. There are also a lot of other eco-tourism sites in Cho Lach such as Ba Ngoi, Nam Cong, Ho Vu. You can enjoy other interesting activities in a water land of Mekong delta such as taking a tour by boat, seeing sunset on bamboo bridges, watching Don Ca Tai Tu (a famous traditional music of the South) and eating special foods of Ben Tre, especially the ones made from coconut.